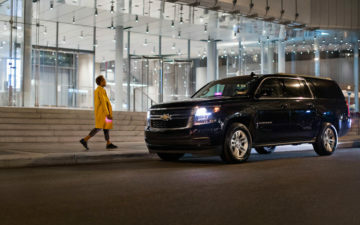 Update: These offers for the Citi Premier℠ Card and the Citi Prestige® Card have expired. Learn more about the current offers here. Update: The Citi Prestige and Citi ThankYou® Premier now offer 1.25¢ per point towards travel on any airline, versus the previous enhanced redemption rate on American Airlines. Learn more about the current offers here. I’ve picked up both cards, not just because they both have great sign-up bonuses, but also because they’re valuable for everyday spend and come with some great long term perks. It can be sort of tricky to keep up with the differences between the cards, given that they have both different points earnings and redemption structures. As you can see, the major difference here is that the Citi Premier℠ Card actually has a better points earnings structure. You earn 3x points on all travel purchases, which includes gas. 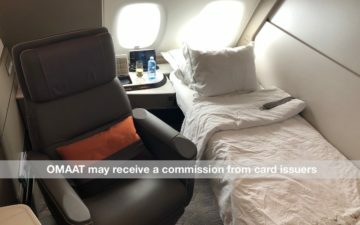 Meanwhile with the Citi Prestige Card you only earn 3x points specifically on air travel and hotel purchases, and not on other travel purchases. What makes this equally complicated is that the cards also have different redemption structures. The points can also be redeemed for cash towards purchases, though the rate at which you can redeem each point varies based on the card. As you can see, the major difference here is that points earned on the Citi Prestige Card can be redeemed at a better rate towards the cost of travel on American/US Airways, and at a slightly better rate towards the cost of a ticket on other airlines (1.33 cents vs. 1.25 cents). Meanwhile the Citi Premier℠ Card has better redemption rates for hotels, car rentals, and cruises (1.25 cents vs. 1.0 cent). Even though the Prestige is a higher annual fee and more “premium” card, the redemption rates are actually worse for select categories, which is interesting. And that brings me the “update” to the redemption structures on these cards. As noted by Frequent Miler, the redemption rates on the Premier Card are actually a recent change. The Premier Card had a “refresh” in April, at which point they improved the redemption rate to 1.25 cents each for hotels, cruises, car rentals, etc. It would be nice if that same improved redemption rate applied for the Prestige Card as well. Perhaps this is all at least somewhat of a moot point, given that you can combine Citi ThankYou Rewards points between accounts. So if you have both the Citi Premier℠ Card and Citi Prestige Card, the redemption rates are basically the same. That being said, long term it would be nice if they simplified the cards a bit, in the sense that they had similar earnings rates across bonus categories, and also similar redemption rates. I can see them keeping the 1.6 cent per point redemptions on American/US Airways exclusively for the Prestige Card (it would be a nice perk and the card does have a higher annual fee), but it would be nice if they aligned the cards more otherwise. American has been smart to not allow transfer partners. The inevitable result of such an arrangement is a flood of miles from people who may never actually fly a paid flight on the airline in question. Accrual of miles is meant to encourage loyalty, allowing vast amounts of points to be transferred in from other sources is ultimately what leads to devaluations for everyone. (I’m looking at you, Delta and United). When you combine all Thank You Points under the same account, does Citi know which points came from which card? It is kind of messy to keep track of all these details when making a redemption. I have the Citi Professional card from a long time ago and barely used it and forgot about it until recently. I was told by Citibank representative that I receive 3 TY points for all purchases at restaurants, gas stations, office supply stores, and auto rental which is amazing! Plus there’s no annual fee..to my understanding this card has not be available for a while! Not allowing flexible points transfers to AA, but having CC’s with signup bonuses is somewhat of a “6 in one hand, half dozen in the other”. 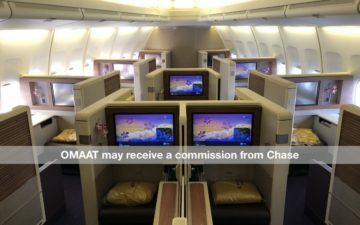 My wife and I each have 250K+ AA miles in our account, despite only earning about 25K from flying because of Citi (and Barclay for US) being generous with their CC signup bonuses. I’ve found Citi to be extremely generous with their signup offers such that AA has been the easiest airline to generate miles on. Although I do agree with you somewhat that BA (especially with the bonus transfers from AmEx) allowed transfer in of so many miles that they were due for a devaluation. I don’t say this often, but this is all a ridiculous waste of time. For redemptions not involving a partner transfer, there’s obviously one, and only one, choice: AA tickets at 1.6 cents. Anything less is just a waste. So the whole 1.25 discussion, frankly, is stupid. The Premier’s advantages are therefore limited to the earning side. Do you know if airbnb.com counts as 3X travel for the Premier card? @ Santastico — You can redeem them per the points structure of whichever card you transfer the points to. @Santastico, yes and they keep track of the expiration date of each TYP as well. @ABC Isn’t the maximum “expiration point” of all transferred points 30 days from date of transfer?